The Wooly Red Rug …a bit of this, a scrap of that, …a loop pulled, a stitch taken… 1987 ~ 2019 ~ 32 Years of Wooly Goodness! ...and a HUGE THANKS for everyone who stopped for a visit and to those who left comments! It is always nice to hear from followers...and so great to meet so many NEW wool lovers. and hope you will visit often. Today...I'm nearing the end of the rug I need to have ready for a deadline this week. 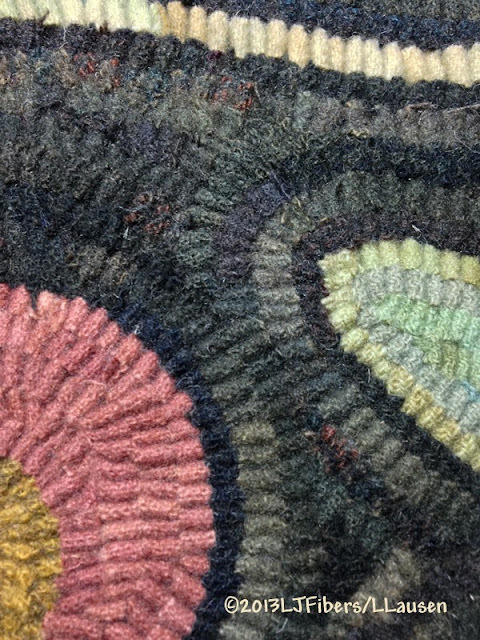 I promise once things settle down here...wink...I will post more about my process in rug hooking! I was surprised to read all the comments of those who aren't familiar with it...or are just starting their rug hooking journey. I've sent you both private emails and once I receive your mailing addresses your wooly bundle will be on the way! I want to wish my Mom a Happy 83rd Birthday!!! …Mommie, I love you more than words can say! But…Crazy About Wool pretty much describes the typical day in my studio! Apple~Tyme is my absolute favorite season! So…today I would like to share my Apple Pin Keep pattern with you! each will receive one of my hand-dyed wooly bundles! please note that in your comment and you’ll receive an extra chance at winning! See my previous post for the full week's list of blogs participating in the hop!!! I’m so happy you stopped by! It starts in a couple weeks...on Monday September 23rd. 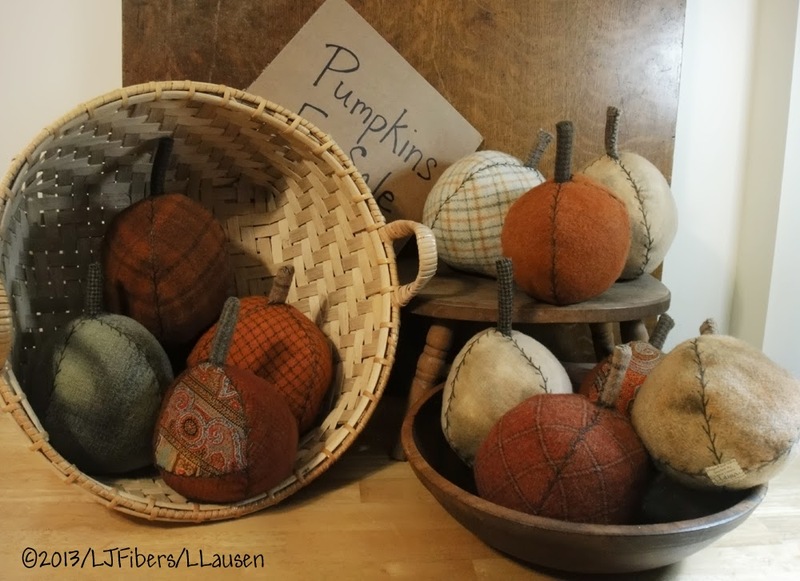 I’m excited to be part of this fun…wooly event! and a Wooly Giveaway too! A welcome turn in the weather...finally a break in the heat and humidity! So nice to feel the breeze thru the windows! I really don't know where the summer has gone and am sure most of you feel the same. So is this why I like roses and ducks? All content here...including text, designs and images are copyright protected and may not be used without permission. Tutorials and free patterns are for your personal use only and may not be copied and sold. The updated 2018 LJFibers Rug Design Catalog...28 pages! NOW Available...click over to see whats new! We make our living by selling our designs...pattern sharing is stealing! 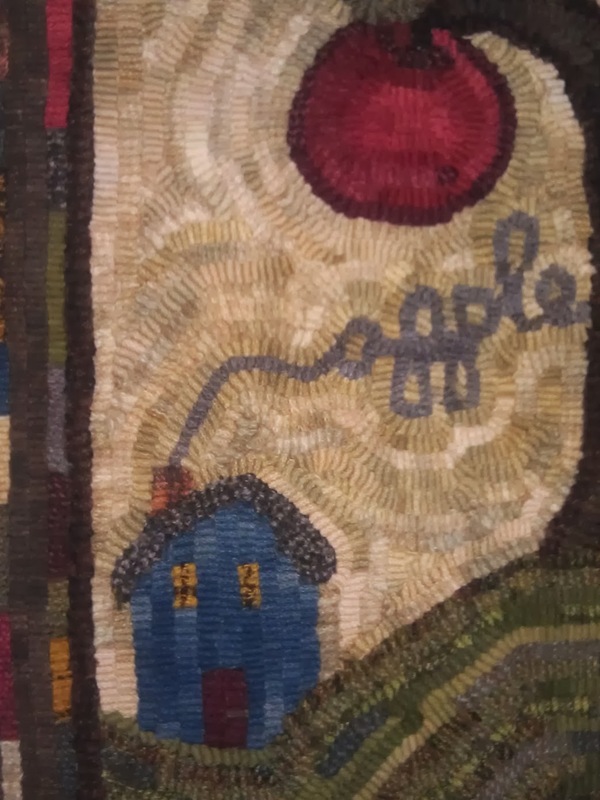 Blog Content © L.J.Fibers at Thew Wooly Red Rug ~ Laurie Lausen. Picture Window theme. Powered by Blogger.